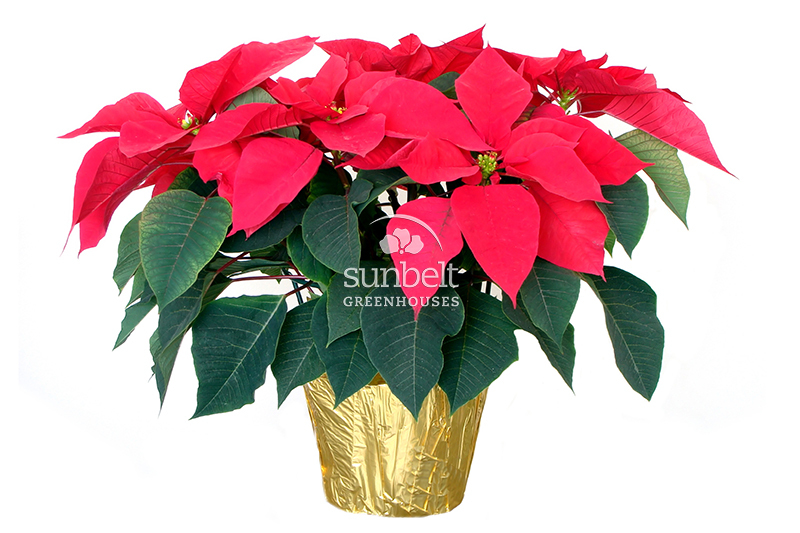 Sunbelt Greenhouses is famous for florist-grade poinsettia production. 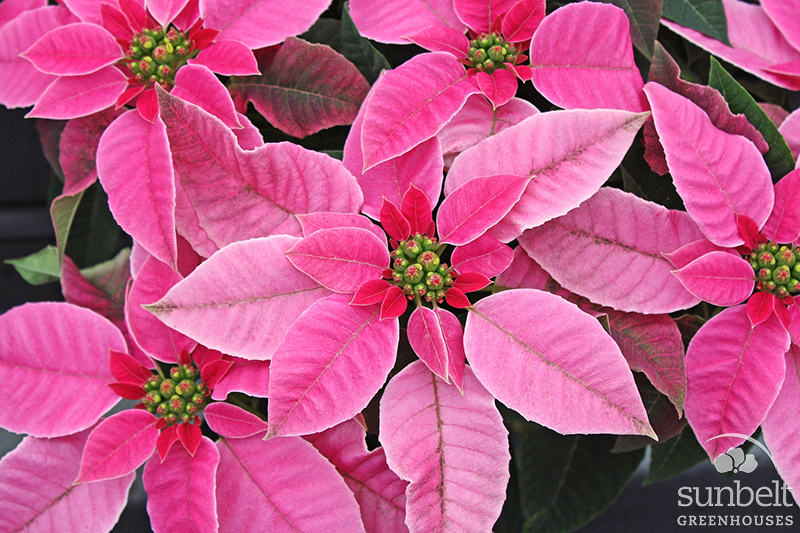 We like to think our plants as well as our variety selection are among the nation's finest. 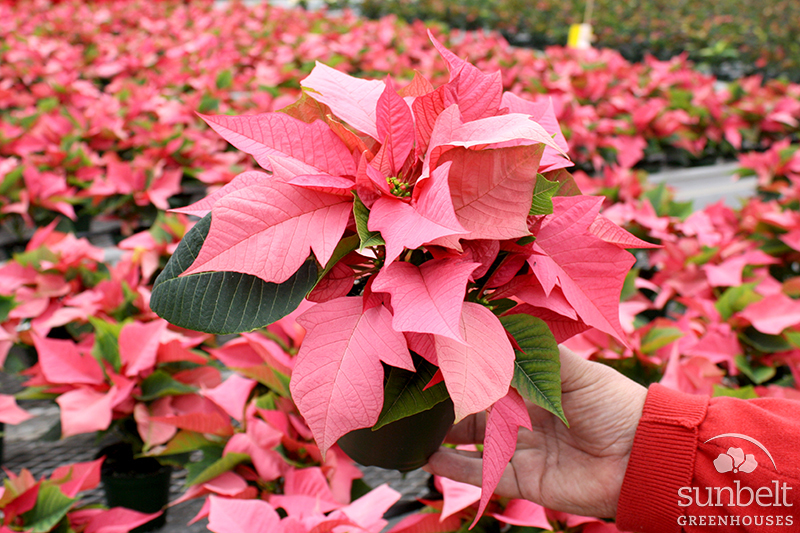 In addition to top-quality poinsettias, we also ship Christmas Cactus and Cyclamen during the holiday season as well as seasonal combos. Pricing information and pre-book order forms will be distributed in late August. 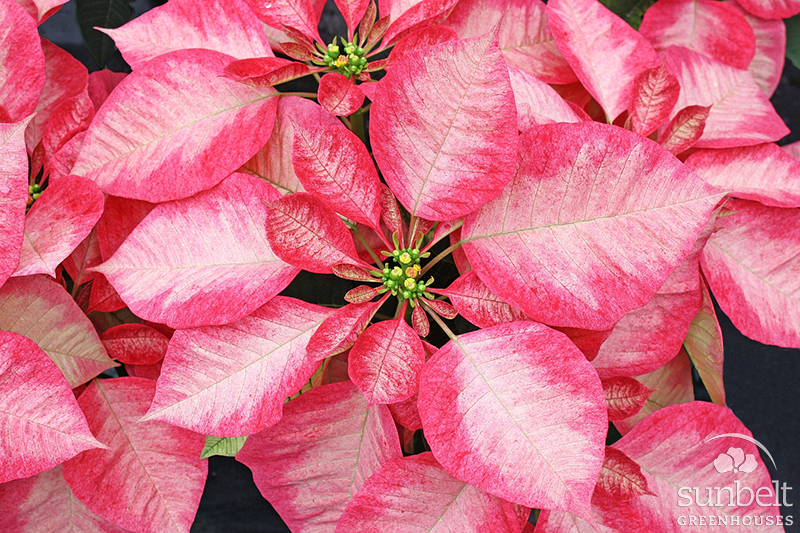 We maintain a live database for our poinsettia inventory, which allows our customers to secure product in advance of the season. All pre-bookings require confirmation by mid-November. Need a sales rep? Contact us. 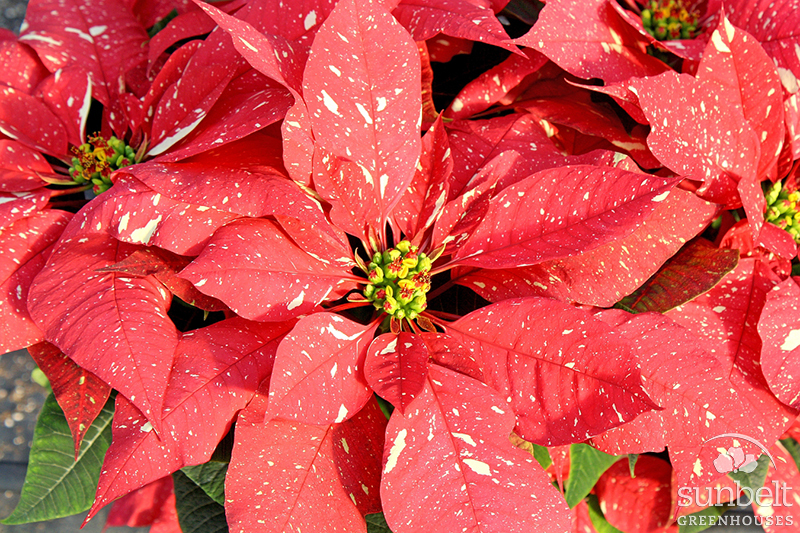 Need information for our Poinsettia Fundraiser Program? To see photos of our novelty varieties, click here. 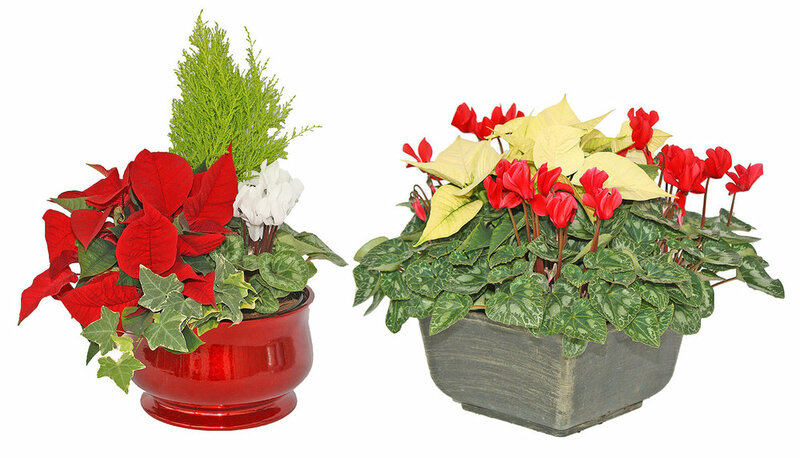 12" Poinsettia Winter Combo Bowl • A festive red bowl filled with holiday color and greenery, including Lemon Cypress.